Breathtaking Waterfront Residence With 207 Ft. Of Water Frontage And Panoramic Views Of The Long Island Sound. This Home Boasts Cherry Brazilian Floors, 5 Bedrooms, A Gourmet Kitchen, Formal Dining Room , Sitting Room, And Large Great Room With Fireplace, Mahogany Ceiling and Walls Of Windows. Set On 2.47 Acres Of Lush Property With A Gazebo And IG Gunite & Saltwater Pool With Clear Views To Connecticut. 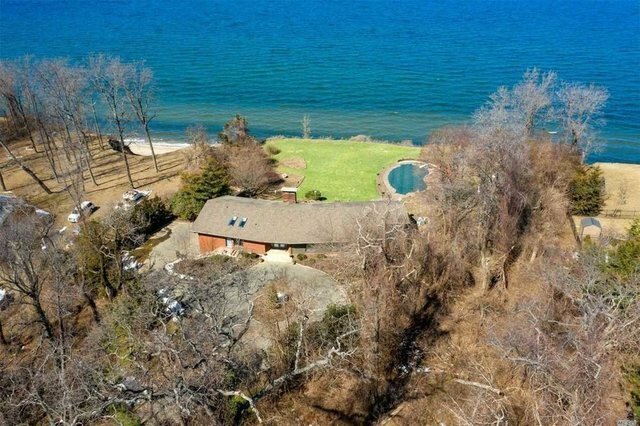 This Residence Offers A Unique Lifestyle Opportunity On The North Shore Of Long Island!